1. 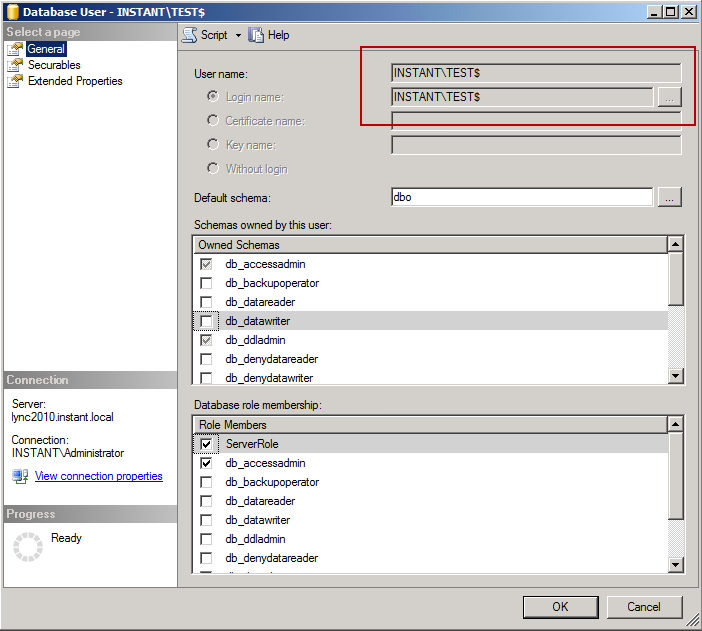 Add the machine name hosting the Archive Viewer Application as a user to the SQL Server having access to LcsLog database. The username should have the format: domain\MachineName$. In the above screen shot domain name is INSTANT while the machine name is TEST. 2. 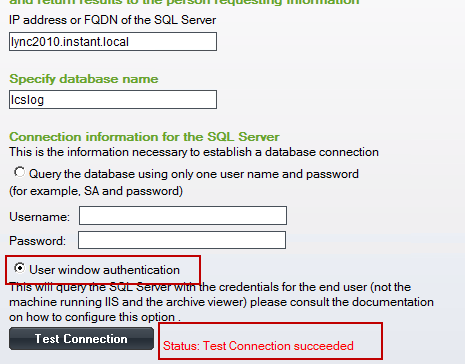 Configure the archive viewer to use "Integrated Windows Authentication" mode for SQL server access. 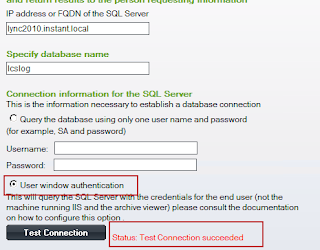 The symptoms of a 'mis configured' connection may be a SQL Server timeout issue when the Archive Viewer attempts to retrieve the contents of a chat session.